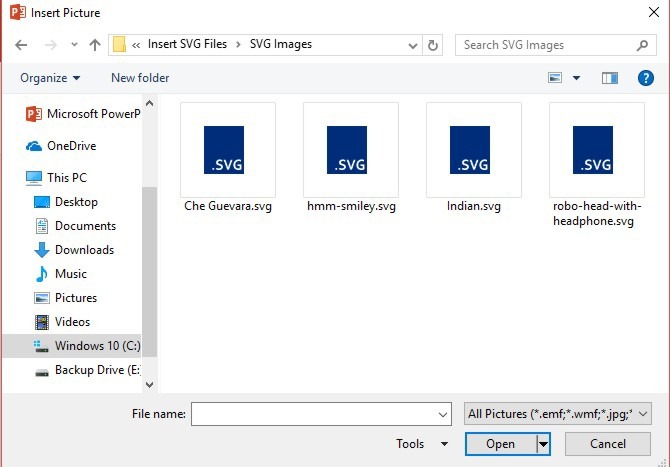 In the image below, we notice the images that are located in a folder and that they all have the extension SVG. We do not have a preview of them, because I don’t have the associated program installed on my computer to preview them. In order to Insert an SVG image in one of Microsoft’s Applications all you have to do is to follow the steps below. 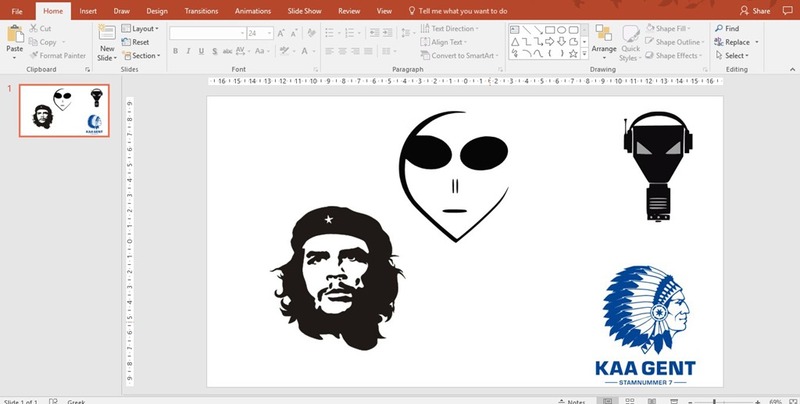 In the image below, I have the PowerPoint application running, and then I have selected the Insert tab and from the area of the ribbon named Images I have selected the command Pictures. In the image below, I have the Word application running, and then I have selected the Insert tab and from the area of the ribbon named Illustrations I have selected the command Pictures. 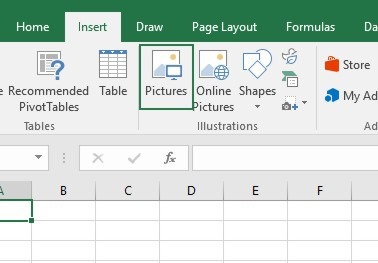 In the image below, I have the Excel application running, and then I have selected the Insert tab and from the area of the ribbon named Illustrations I have selected the command Pictures. 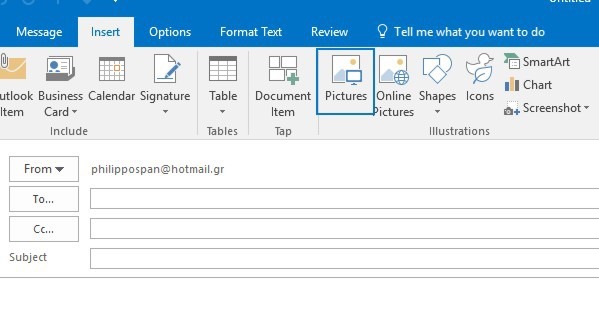 In the image below, I have Microsoft Outlook application running and I have created a New Mail Message, then I have selected the Insert tab and from the area of the ribbon named Illustrations I have selected the command Pictures. Whatever application we use, the Insert Picture dialog box will appear, where we just must navigate and locate on our computer where these SVG Files are located. Once we locate them, we select the one that we want and then press the Insert button. ( In the image below, I have installed a program on my computer in order to edit, preview the SVG files), but I still do not have a preview thumbnail of the images. In the image below, I have Microsoft PowerPoint running, and I have Inserted the SVG files in the Slide of the Presentation. These SVG Files can be customized in order to change how the image looks by using the Graphics Tools tab which appears once the SVG file is selected like any other image that we insert in our Presentation, Document, Workbook and E-Mail Message. Below you can check out the video describing How To Insert SVG Files in Microsoft Office 365 Applications.